Once upon a time, in a village far away, there lived a carpenter. This carpenter made lots of things, but his true passion was crafting beautiful wooden birdhouses. The carpenter was successful, but lately had become very, very poor. For, you see, all of his neighbors already had birdhouses. Delightfully charming birdhouses. They had birdhouses in their front yards, they had birdhouses in their backyards, they even had birdhouses inside their own houses. They just didn’t need any more! And did I mention that this carpenter had SIXTEEN CHILDREN to feed?? 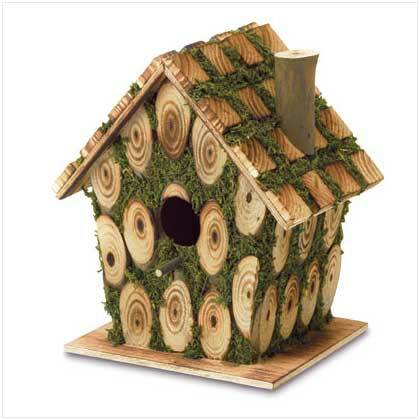 Not easy when birdhouse demand has dwindled. One day a stranger came to the village, and asked where he might find some birdhouses. WHY, the villagers cried, right down the road! They were thrilled to see someone who might be able to help the carpenter. And they sent him on his way. Shortly, the stranger arrived at the home of the carpenter, and knocked on the door. His slightly disheveled wife answered, surrounded by a mob of screaming children, and pointed the stranger to the shed at the back of the house. The carpenter was thrilled when the stranger explained he was in need of some birdhouses. And how many will you be needing? 1000. The wide-eyed carpenter blinked several times, and then asked, And by when? Tomorrow. After the carpenter regained consciousness, he set to work, calling all of his children, as well as his wife into the workshop to help. All day they worked, and into the night. But by midnight, they’d only made 580 birdhouses. The carpenter explained they would have to all forgo sleep, in order to fill the stranger’s order. And work, they did. All night long and into the morning they slaved away, sawing and carving, nailing and painting. And even the littlest of the children did their share. Finally, by dawn, they were finished. Not just 1000 birdhouses, but 1004. The carpenter, overjoyed, accepted. And never again did his family know want. < Previous Ideas to keep your kid/s from driving you crazy. mommy i like your story.what are we going to eat for breakfast. Let me know when the carpenter starts making shoji screens! Great story however, Madison’s comment made me smile!!! Christy, where were you 2 weeks ago, when I needed 35 stories for my class?????!!! I love it! Madison is on the Internets! Watch out world! Madison, Look how you’ve captured all these hearts w/ your hungry comment. Too cute. Hayden, I want that birdhouse baaaadd and will def let you know when the carpenter expands operations. Connie, I know – I try, but she’s got it all over me, hands down. No use competing w/ kids. Thanks Tracie! A friend of ours makes birdhouses & I keep hers inside too. Maddie had cheerios for breakfast, but wanted toast (we were out of bread). Thanks Spidey. And yes, it is mine — I’d get in trouble otherwise! your story is really creative how did you think of that can you help me think of a story?